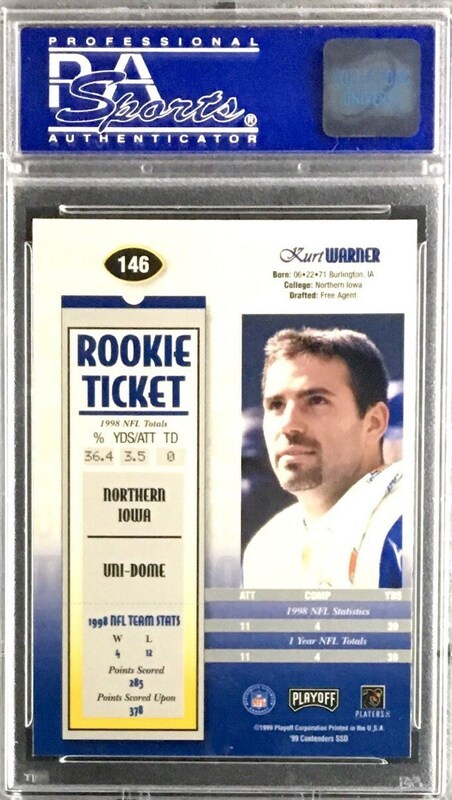 Up for your consideration is a 1999 Playoff Contenders #146 Kurt Warner Rookie Auto card. Warner directed the The Greatest Show on Turf and earned two Most Valuable Player awards en route to being inducted to the Hall of Fame in 2017. 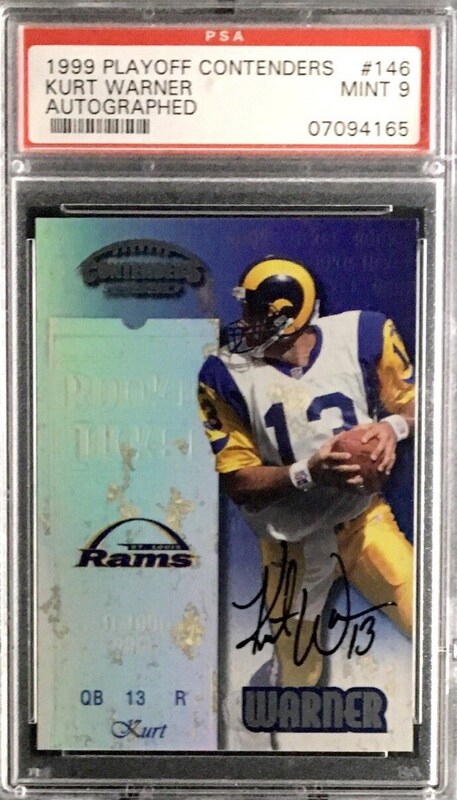 Offered here is his most desirable Rookie card in mint condition graded by the industry leader PSA.